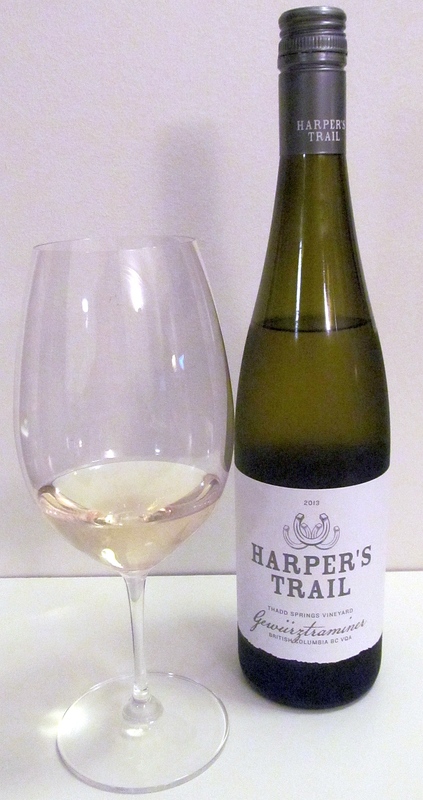 I tip my hat to the pioneering spirit of Ed and Vicki Collett for starting their winery, Harper’s Trail, in Kamloops, BC, leading the way for people to consider this as a new area in BC for grape wine production. I’ve been in contact with Ed and Vicki since just before they released their first vintage, and have been very happy with their wines. Ed and Vicki have been experimenting to see which grapes grow best for them in Kamloops, and continue to grow their vineyard plantings. Their Thadd Springs Vineyard grows both red and white grape varieties, and for this article, I am tasting their Pinot Gris, Gewurztraminer, and “Field Blend White” (a mix of Chardonnay, Riesling, and Pinot Gris). Thanks to Michael Bartier, their consulting winemaker, for producing these fine wines on site at the winery. This wine has a light pear skin colour in the glass. It is very youthful smelling with stone fruit, pears, light citrus, a hint of mandarin orange, apricot, and honeydew melon. It is soft, silky, buttery with a medium viscous mouth feel. A light acidic prickle on the tongue. 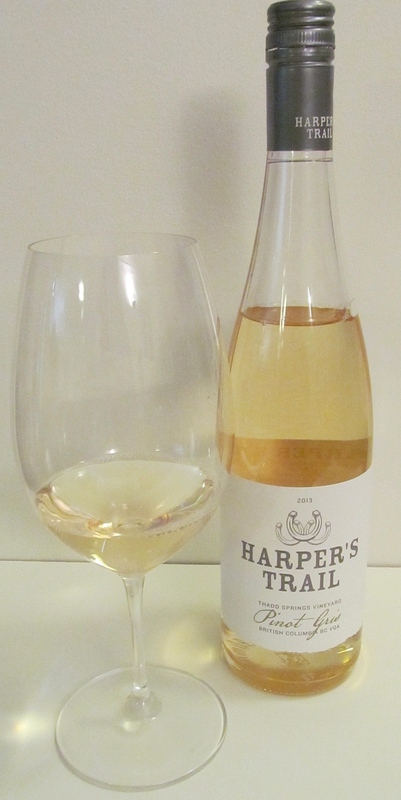 Flavours of first pears, followed by red apples, honeydew melon, stone fruit, and a hint of mandarin orange. There is also a bit of blackcurrant leaf toward on the finish. Medium plus length with mouth watering acidity, citrus, pears and a bit of pepperiness. I really enjoyed this wine. Enjoy with a salad, a lightly seasoned chicken dish, or steamed/baked halibut. Rating: Really outstanding, with fresh fruit flavours and luscious mouth feel. A medium golden straw coloured wine. It at first whiff expresses crab apples, but that is followed primarily with pears, followed by citrus, lychee, tropical fruit and apricots. Very aromatic in the glass and very nice to nose. This wine is dry with medium acidity and body. 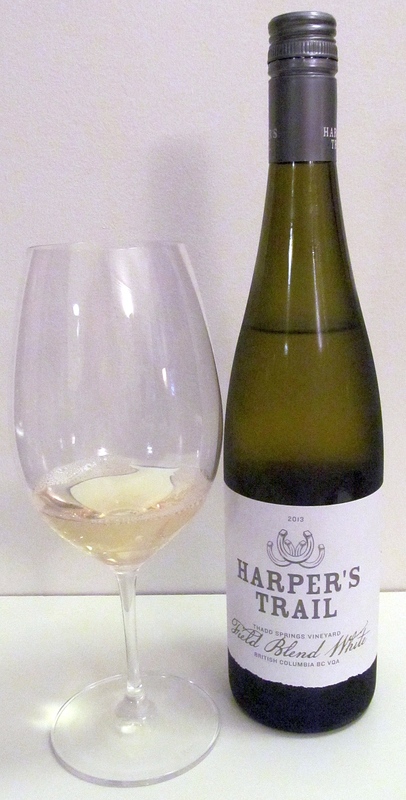 Spicy, round, and soft, with lots of ripe pears, lychee, melon and apricot flavours. Medium plus length with pears and some bitter pear seeds on the finish together with mouth watering acidity. Very classy. You can drink this wine now, but I think a few years of aging, might bring some interesting complexity. Rating: A very classy wine. Not your typical Gewurztraminer with more flavour complexity than a typical Gewurztraminer, especially at this price point. This wine as mentioned is a blend of Pinot Gris, Riesling and Chardonnay. I really think BC makes really tasty Pinot Gris, and maybe we should coin a term, BC Blend (just like you have Bordeaux blend), for any BC white wine made using Pinot Gris as one of it’s components. The wine is medium minus lemon in colour. Medium intensity, youthful aromas or peach, citrus, and a hint of mandarin orange. Dry with lower acidity, medium body, but medium plus flavour intensity. Really smooth and round on the palate, and quite mineral, with ripe stone fruit, followed with lime zest on the palate. Medium plus length with mouth watering acidity and lime peel on the finish. Very tasty. I brought this wine to a party recently to rave reviews by everyone that tasted it. Rating: This wine is memories of summer for me. A very easy drinking wine at an exceptional price.